I've had this for a bit but I wanted to wait till now to post it. You'll see why soon. For now though, let's just get to the vinyl. 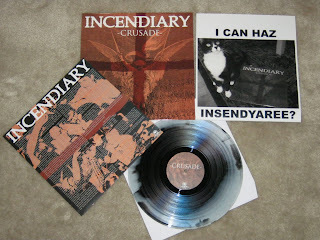 Incendiary - Crusade. Incredible album from a band you're going to hear a lot about in 2010. If you haven't already. This was pressed on 3 colors. Black, White, and a weird black/white swril type thing which confuses me. 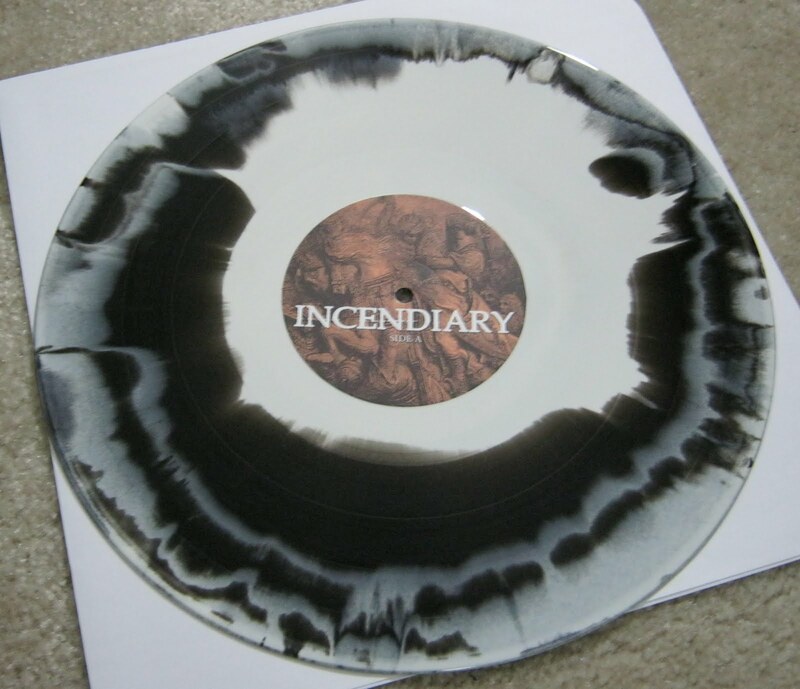 I think I like it, it's just confusing cause I've never seen a record come out looking like this. The swirl was sold as the rarest color version from the label, but was also sold at the record release show with a folded sheet numbered out of 50. I wasn't at the record release show, so I've been looking for it ever since. A few weeks ago I found a fellow long islander selling his on B9. I met up with him and we did the deal in a parking lot, old school style. Felt real good. In fact I've been doing a lot of long island meet up deals lately. We'll get to those another day though. So, the release, there isn't much to it at all. It's the same color and cover, they just added a little something for coming to the release show. So as you can see here the color is mostly black with a little white mixed in there. Ok makes sense. Well check the other side out. Weird right? I mean I've never seen a record turn out like this. Maybe I'm lost, but I've been collecting for a while, and this has never come up. This isn't some one off weird version either. All the swirls are sort of like this. I know this cause I have another swirl that I got from the label a while back. That one has less white though. And the other side is almost all black. So here's my question. Is there a version out there with all white on one side and all black on the other? Cause if there is, I want it! This almost reminds me of the Sons of Abraham - Termites in His Smile marble vs clear problem that I ran across last year. What I never explained, after I explained why there was a marble version and why there was a clear version, is there's actually a third version that I've been searching for. It's a clear marble version. Someone had it on ebay and I got outbid...yeah, someone outbid me on an exit record I didn't have. It's retarded I know. But basically it's the perfect storm while pressing. Almost like a transition within a transition, if that makes sense. It's the point where the marble disappeared enough that it was clear, but still marble. And something along the lines of that could have happened here.....Nerd out complete. One other interesting thing to talk about here is the folded photo copied sheet that was put over the record. Something like this creates a perfect opportunity for a little bait and switch on the unsuspecting customer. 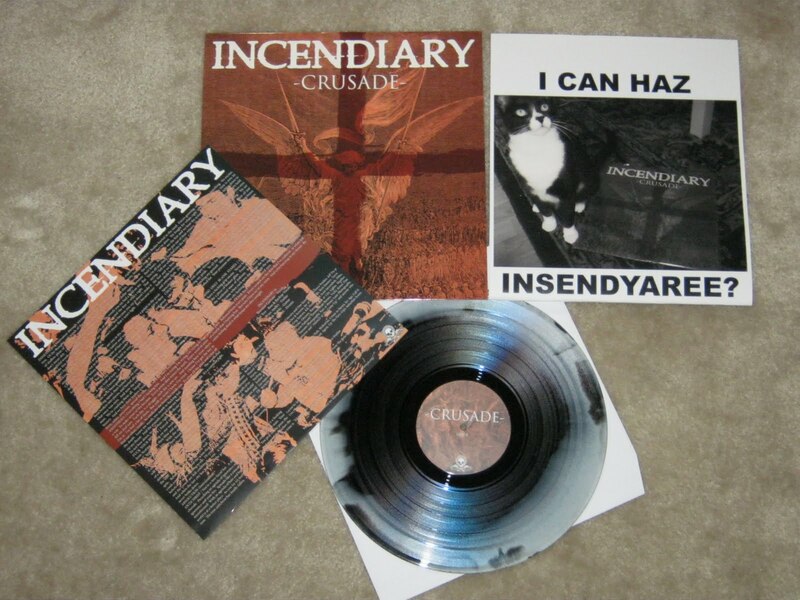 You have one record release version and one plain swirl. You take the record release folded sheet, photo copy it, and slap in on the spare swirl. Fairly simple process. You sell a numbered copied version, and you keep the original version. Except for one smaaallll problem. Sharpie bleed. 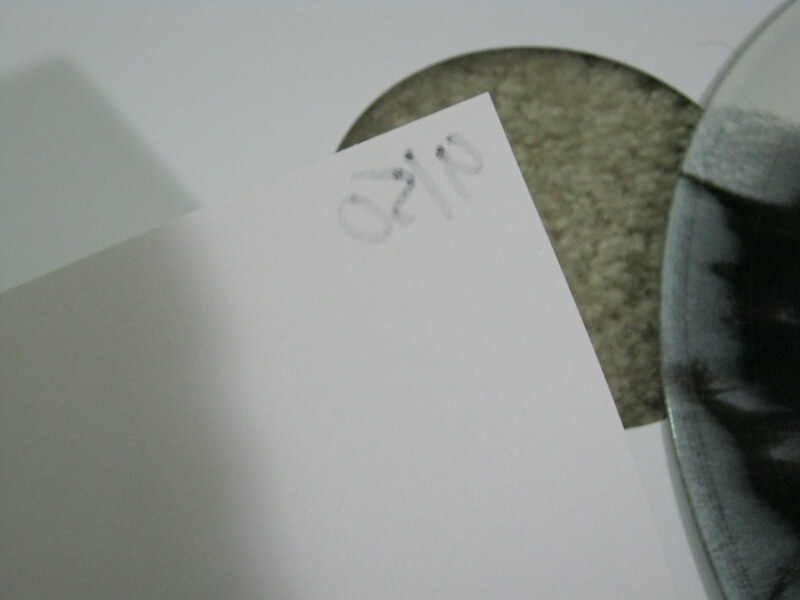 Always look for the sharpie bleed through on a numbered sheet like this. Little tip from me to you. I love single digits....that sounds gay. 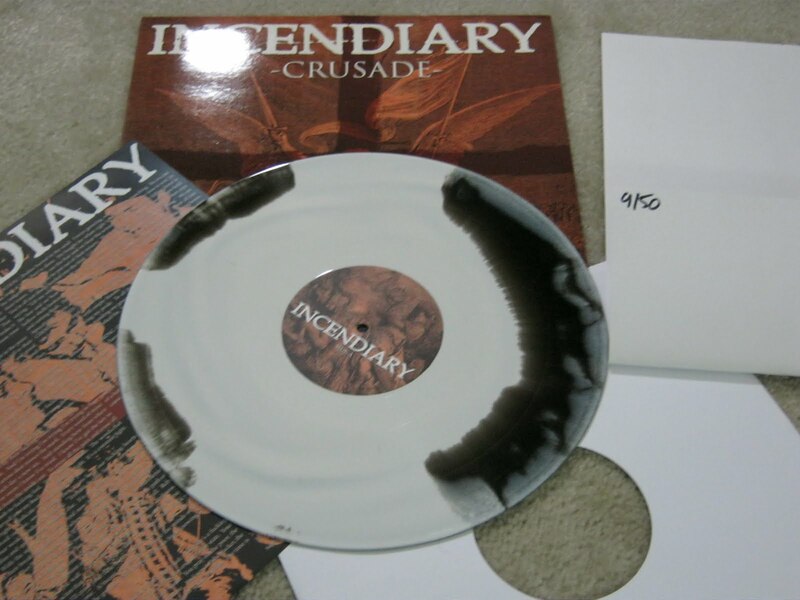 My copy of Chorus of Disapproval - Firm Standing Law 10" has the same black/white color mix.